Those who have visited Munich know about the rich history of the capital of Bavaria. 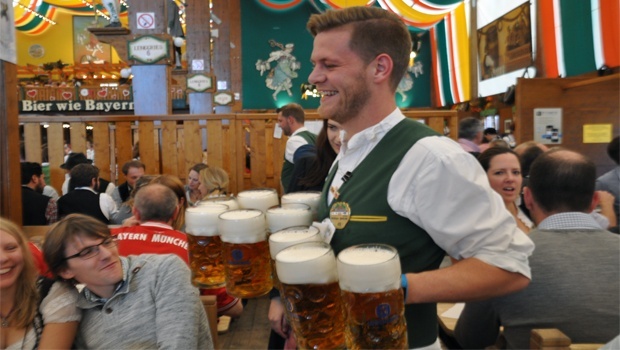 But did you know Munich is known as much for its Christmas festivities as its annual beer extravaganza, Oktoberfest? 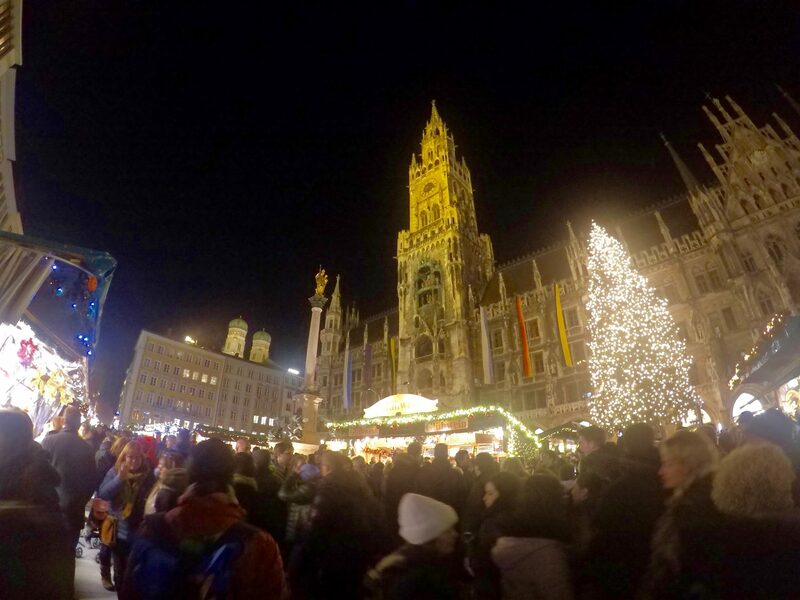 In fact, Munich has held an annual Christmas market for more than 200 years before Oktoberfest got underway. 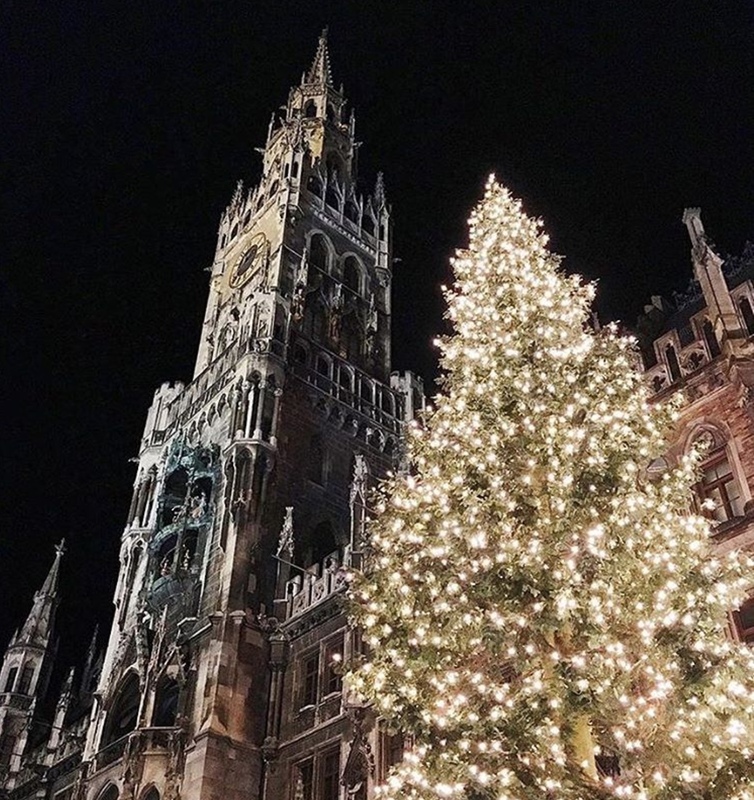 Here are a few of the highlights of the holiday season in Munich. 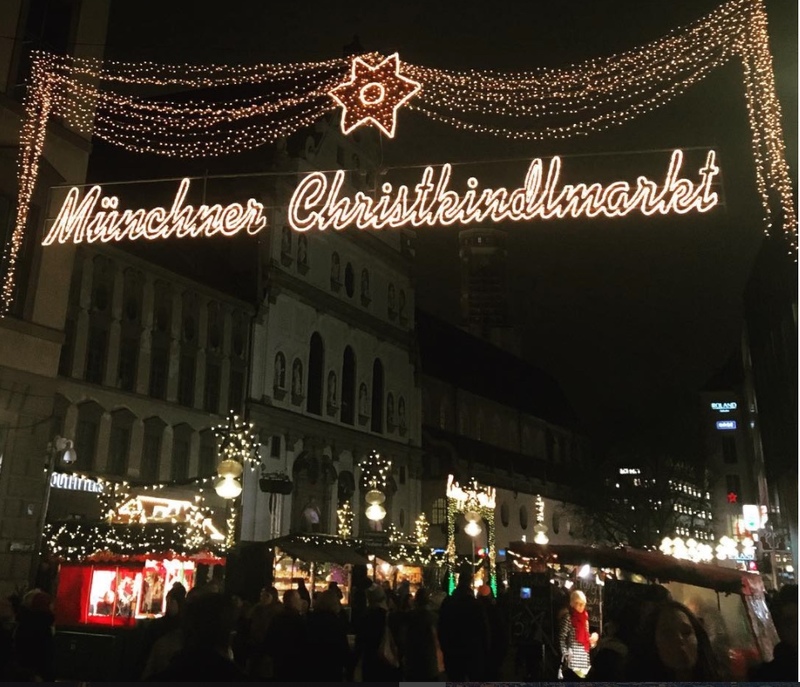 History shows that the first Christmas market in Munich was organized all the way back in 1642. For those Americans doing the math, that was almost 100 years before George Washington was born. The scene that you see today dates back to 1972, and is is compiled of many of the same traditions as instituted centuries before, including a 100 foot tall Christmas tree. 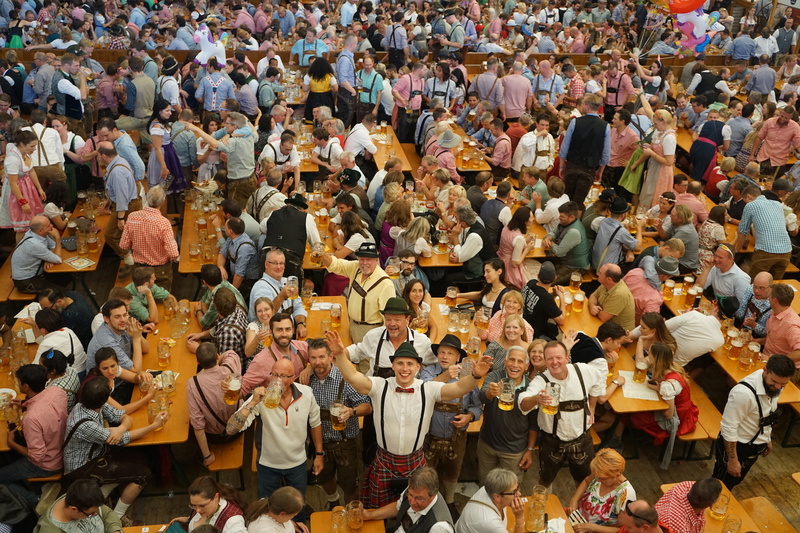 A celebration in Munich would not be complete without food and drinks, highlighted by specialty German wines, bratwurst, baked apples, and gingerbread. You may recognize this beautiful church as one of the main attractions around the Marienplatz due to its iconic twin towers. Those towers were first erected in 1488, while the church has roots as early as 1271. 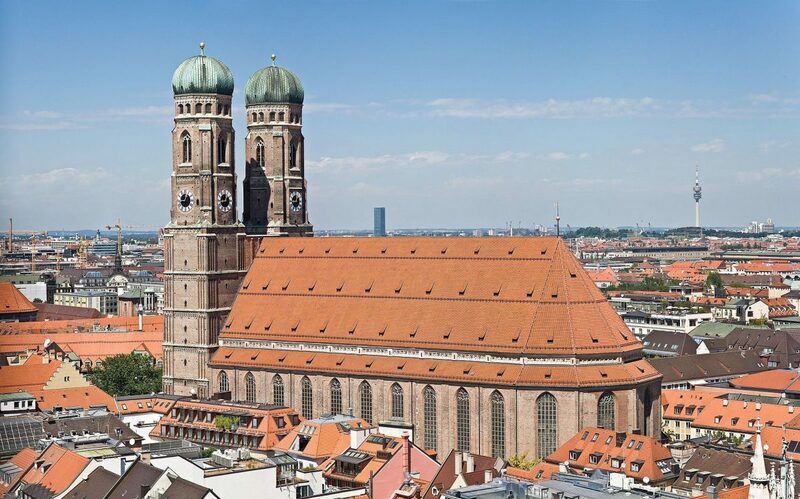 Throughout the month of December, the church known simply as Frauenkirche, hosts a series of concerts. At any given time, you can enjoy a Bavarian choir or a powerful organ recital. We are often asked what the Oktoberfest Grounds are used for once the festival is over, and here is one of the answers: a colorful Winter Wonderland! 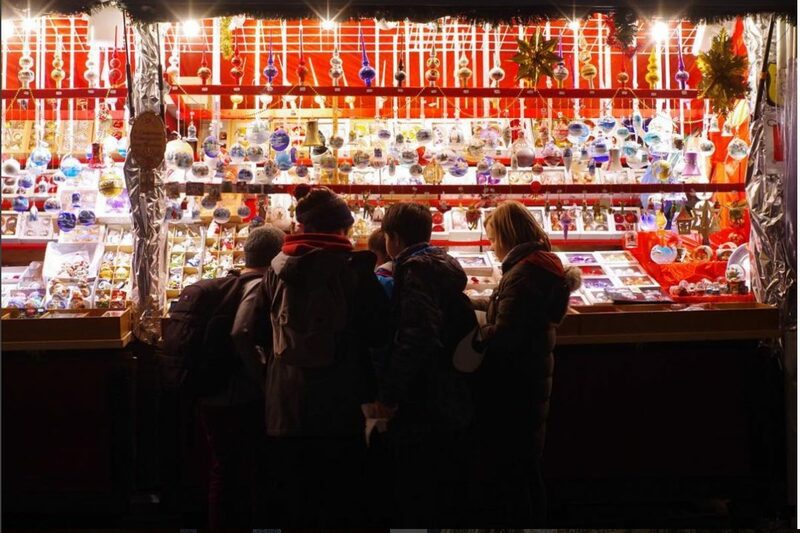 Much like the diverse crowds at Oktoberfest, the Tollwood Winter Festival hosts an international Christmas market. Those present are treated to all kinds of influences, including food, music, and entertaining performances. 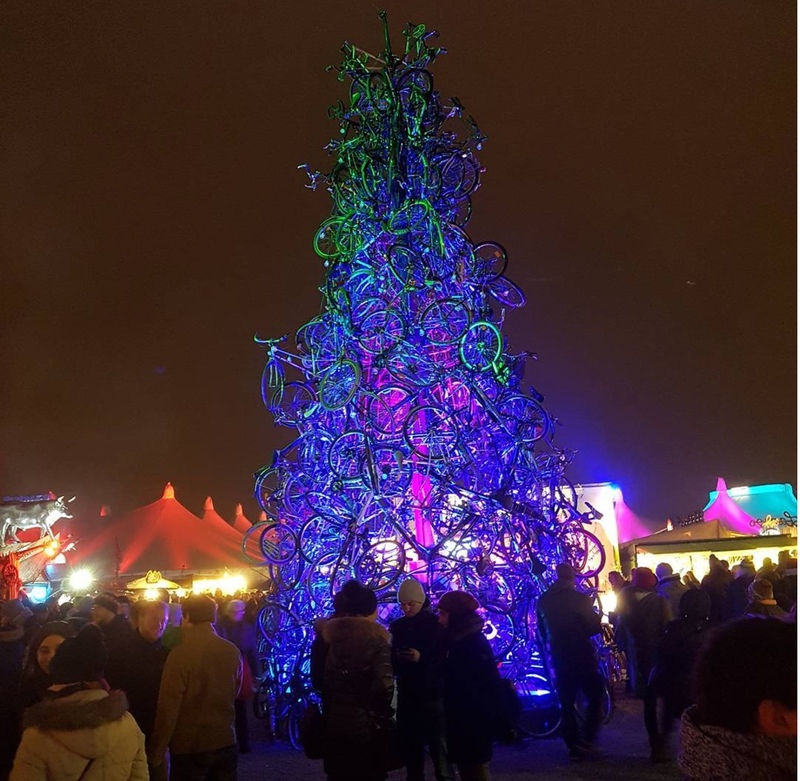 The bicycle Christmas tree is a must see!